Quttera is a cybersecurity software and services company that delivers a technology platform and solutions to help organizations monitor and protect their web assets from malware. We specialize on detection of web based security threats: exploits, trojans, worms, shell-codes and other kinds of malicious software. Quttera provides Website Security Solutions for Small&Medium Businesses, Small&Medium Enterprises and Organizations. 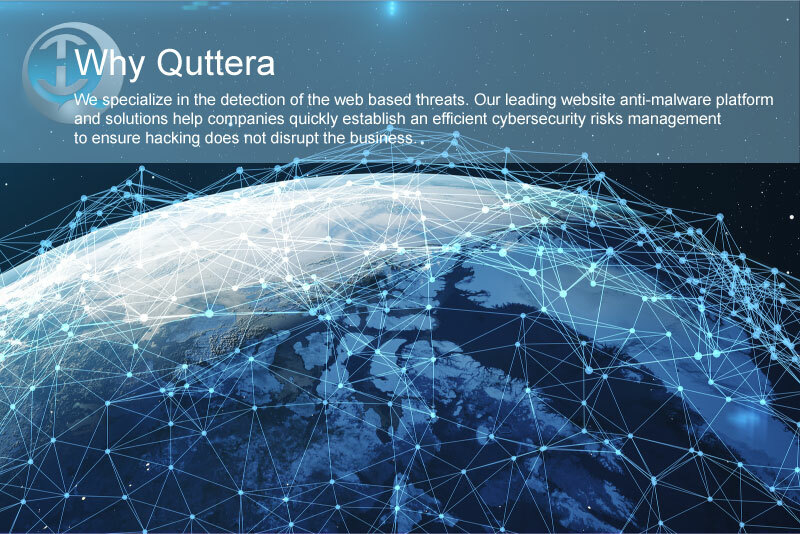 Quttera technology helps companies to quickly establish the efficient cybersecurity risk management to ensure hacking does not disrupt the business. Quttera scanning and malware detection capabilities have become a brand in the security industry. We help search engine providers and security vendors to improve the domain/URL safety scoring to make the internet a safer place. The software, tools, scanning solutions and malware removal framework have been designed for ease of use without compromising functionality. We provide corporate-strength protection against constantly changing landscape of web malware, including viruses, trojans, spyware, phishing and hacking attacks. We develop and build a cutting age, non-signature based and heuristic technology to identify malicious web content. This patented technology is able to leverage Artificial Intelligence in order to detect anomalies, unknown and previously unseen malware. We have been testing our algorithms for more than 12 years now, sharpening them and expanding the functional characteristics to detect unknown malware bits. Our online scanners are constantly crawling the Internet and process approx. 150k websites and millions of URLs monthly, generating security reports with detailed detection breakdown. Quttera has become widely recognized as one of the global leaders in protecting website owners and all who are vulnerable to malicious hacker attacks. Our mission is to build a platform that is always up to date with the new threats and requires a minimum human involvement. Today, when Internet became the primary channel of information and entertainment, propagation of malicious software is very simple and in general based on the exploitation of security vulnerabilities which are frequently discovered in modern web browsers and media viewers. According to Common Vulnerabilities and Exposures database, only in 2010 there were discovered 114 security vulnerabilities in Mozilla Firefox, 172 security vulnerabilities in Google Chrome, 49 vulnerabilities in Opera and 68 in Microsoft Internet Explorer (5,6,7,8). Quttera supplies cloud services providing protection from web-based security threats and help to keep web-surfing devices away from viruses, trojans, worms and other kinds of malicious software. Try our free Online Website Malware Scanner service and don't leave bad guys a chance. How can existing information security solutions adopt Quttera engine? 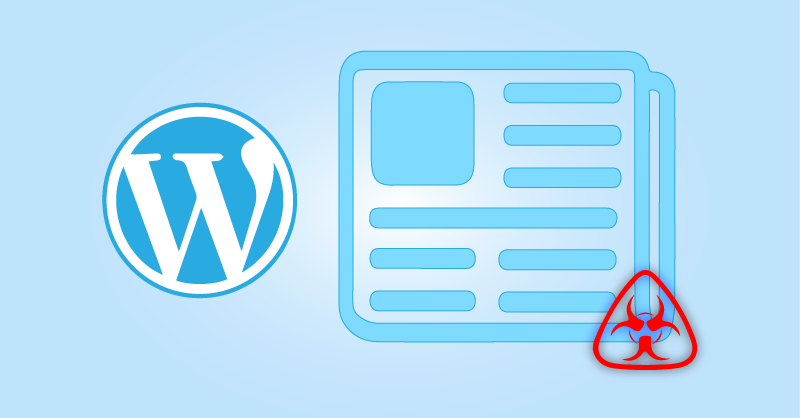 There is no doubt that a web-based malware is an emerging security threat for websites and web users. The dynamic content has increased the delivery of sophisticated web threats that evade detection by traditional security technologies. Hackers insensibly hack websites by exploiting security weaknesses of hosted web applications, gain access to the hacked Web site and install malware files that further spread to mobile devices and desktop stations. Quttera investigation engine embeds number of homemade execution emulators which penetrate the analyzed code and detects web treats regardless of targeted web browser or operating system. PDF reader emulator for detection of malicious PDF files. 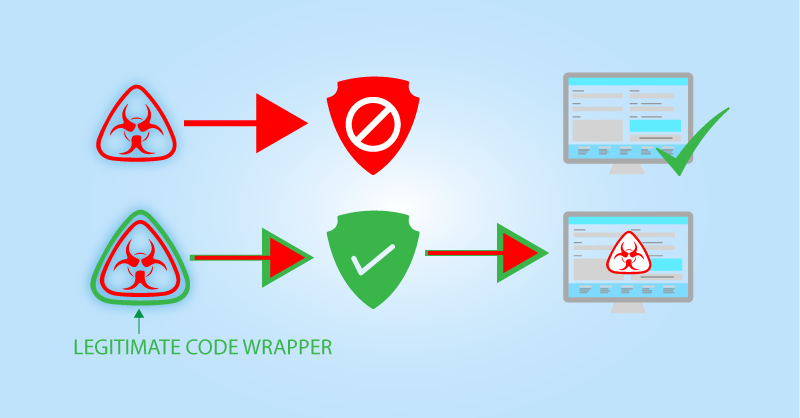 Please contact us to verify how Quttera can reinforce your protection along with a solution you are, already, using. Great job! You've solved the malware issue in a short time and saved my work and the work of so many people! A big thank you to Quttera and its support staff! Such a professionalism at a price which is affordable for everyone all over the web! Contact us to add feedback or place testimonial. Please contact us for additional information, feedback or suggestions.